Praise God, praise Lort, praise world, praise cloud. Fuzz is coming to Nashville. Riding high on the the recent release of their debut LP on In the Red, California’s premier riff masters will be gracing our great city with the rock on Monday. To say we’re stoked would be an understatement. We’ll just say we’ve been waiting a solid year for this show to happen. 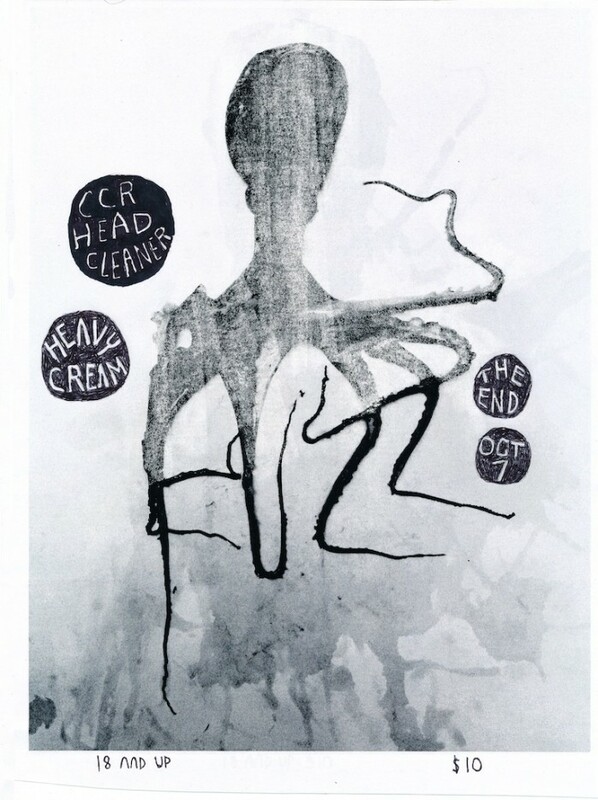 Joining them will be SF heavy hitters CCR Headcleaner. Emily Rose once described them to us as “really my favorite band from San Francisco.” If that isn’t a trustworthy seal of approval, we don’t know what is. And as if it couldn’t get any better, local punkers Heavy Cream will be rounding out the bill. Tickets are available now, as are the new records from Fuzz and CCR Headcleaner. Get ripped.